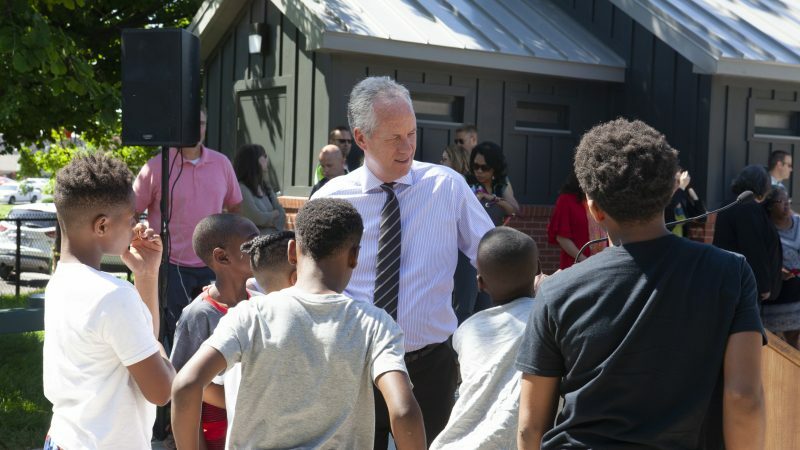 At Bloomberg Philanthropies, we’ve been fortunate to work with Mayor Fischer and the City of Louisville in a variety of ways. Louisville was an early member of Bloomberg Philanthropies’ innovation teams (i-teams) program, an effort that helps build the capacity of local governments to solve their most pressing problems. Earlier this year, Louisville was certified by What Works Cities for building a world-class culture of data to transform city services. And Louisville is among 35 finalists who are testing ideas with residents as part of our 2018 Mayors Challenge. The Mayors Challenge is a competition that encourages mayors and their teams to develop bold ideas that address urban problems: ideas that are adaptive and replicable for application in other cities. Louisville is testing a potentially groundbreaking idea to dispatch aerial drones to crime scenes in the wake of gun violence to aid police investigations. In this episode, Mayor Fischer and James discuss the discipline required to create a truly innovative city hall, why citizen engagement is so important, and how Louisville’s focus on becoming a more compassionate city has not only helped attract new businesses but also caught the attention of His Holiness the Dalai Lama. Download the episode from iTunes and be sure to subscribe! Follow the Data is now available on Stitcher – be sure to rate and review each episode! OLIVER: Welcome to Follow the Data, I’m your host, Katherine Oliver. Greg Fischer of Louisville, Kentucky says to be a good mayor, you need the, “head of a CEO, but the heart of a social worker”. His focus on using data to make Louisville a more compassionate city was highlighted in a recent conversation with James Anderson, who leads Bloomberg Philanthropies’ Government Innovation program. During seven years in office, Mayor Fischer has demonstrated a commitment to evidence-based government, including establishment of an Office of Performance Improvement and Innovation, as well as the signature initiative, LouieStat, the city’s performance management program. Bloomberg Philanthropies has enjoyed a long-running collaboration with the City of Louisville. An early member of Bloomberg Philanthropies’ Innovation, or i-teams, program Mayor Fischer is also one of the first 40 mayors to participate in Bloomberg Philanthropies’ collaboration with Harvard University, launched last summer, to give mayors and other leaders inside city hall high-quality executive coaching and training. Additionally, Louisville was certified by What Works Cities as being one of the nation’s most effective governments. Mayor Fischer and James discuss building a culture where transformation is everyone’s job, the discipline required to create a truly innovative city hall, and how Louisville’s focus on becoming a more compassionate city has not only helped attract new businesses but also caught the attention of His Holiness the Dalai Lama. So without further ado, Follow the Data presents: The Innovative Mayor with James Anderson. ANDERSON: Greg Fischer is the 50th mayor of Louisville and is now serving his second term. He’s a native son of the Derby city and a leader that Bloomberg Philanthropies has come to know through a variety of programs over the years from our work to help cities get better at experimentation and using data, to our leadership collaboration with Harvard University. One of his major missions is to make Louisville a more compassionate city and that’s work that garnered national headlines last year, in the wake of the racially-charged violence in Charlottesville, Virginia. POLITCO has recently named him one of the country’s most impressive and interesting mayors, Governing has named him Public Official of the Year. Our very own What Works Cities program has given him high recognition for being one of the most data driven and effective governments, and I can say from our work together over the years that his city hall is really a world-class example of smart, great government in action. I also count him amongst my friends. I think we have a lot to learn from him, Louisville Mayor, Greg Fischer, welcome to the Innovative Mayor. MAYOR FISCHER: Jim, it’s great to be with you. Thanks for having me. I’ve shared with you is, one of the newbie mayors, who arrived the first day of class, I pull her over and I’m asking her is she excited to be here, what’s she most excited about, and she says,”well that’s Greg Fischer”. And I said, what do you mean? And she goes well, my strategy is to watch Greg Fischer and emulate him I thought we would start today’s conversation by asking you, who you watch, who inspires you and what leaders you most look up to? MAYOR FISCHER: Well so I’m a business guy and entrepreneur that just happens to be mayor, I’ve got a wide variety of folks that I’ve had the real blessing to work with. So I would say it’s everybody from Dr. Edwards Deming to the Dalai Lama, and everybody in between. Dr. Deming taught American business about how to build quality and how to focus on the customer and how to build cultures where the transformation is everybody’s job. The Dalai Lama has become, what I call a strategic partner of our city as the Buddha of compassion. Compassion is one of our city values so he’s really helped open up the window to the role of human values and leading a city and start with that kind of platform. So that would be the big picture, you know, in terms of mayors, I would say, you know, not just because it’s this podcast, but Mayor Bloomberg was a tremendous model for mayors in terms of how to bring a data-oriented business approach to cities. I say to be a good mayor, you have to have the head of a chief executive officer, but the heart of a social worker. And I think you see that in the best mayors out there. So Mayor Bloomberg has really demonstrated that. Mitch Landrieu down in New Orleans, showed mayors what you need to step out. I think we’re truth tellers as mayors and when you pull all that together, you can make good progress. ANDERSON: That desire that you have to constantly learn and constantly study and push yourself is one of the things that I really respect about you and have watched that over the past few years. Talk a little bit about, as a seasoned executive, as a mayor who’s been around the block a couple of times, why did you join the Bloomberg Harvard City Leadership Initiative and what were you hoping to get out of that? MAYOR FISCHER: Well one of the most powerful things you can have is a mutual learning cohort. A group of people that are learning a common language so that when you talk with each other you can accelerate your improvements. Also having the opportunity to hear from some of the very best people in the world in their particular areas of expertise and, when you come into that with an open mind and open heart with a room full of other learners that are going through the same experience as you as mayor, boy it really opens up the possibilities for how you can look at the future of your city. Any time you have an opportunity like that, you have the opportunity for real breakthrough in your thinking, innovation others would call it, but you’ve got to get outside of your day-to-day routine and expose yourself to something really radically different. And hopefully you get a bunch of whacks on the side of the head where you internalize like, I never really thought about it that way. And when you come to that realization, that’s when breakthrough is possible. ANDERSON: Is there a breakthrough that you’ve had as a result of the program that you’d be open to talking about? MAYOR FISCHER: It’s thinking about what the available resources are and then wrapping that around a real tough problem that we have here in our city. So for instance, the follow-up since the inaugural class with our Safe and Healthy Neighborhoods team and sending a group of cross functional folks to one of your subsequent sessions where they could really dive into the historical issues, take a look at some benchmarking possibilities and then work with the resources from Bloomberg and Harvard to put together a plan to mobilize the community, has really paid incredible dividends for us, in terms of putting us in both a thought-leadership position but then excellent project management and what that’s allowed, too, is more effective funding, in the community, and I’m very encouraged about the results that are going come from that. ANDERSON: So I was reading your recent budget address that you presented in April. And the numbers are staggering. So in seven years, you cited the following: 72,000 new private sector jobs; 2,500 new businesses; unemployment down from 10.4 to 3.9%; 11,000 fewer people in poverty, 8,300 new entrants to the middle class; $13 billion in capital investment and in the current year, shootings down 20%; homicides down 19%. I’m wondering, in the context of a city that seems to be flourishing, what worries you the most and what’s keeping you up at night these days? MAYOR FISCHER: Well our city’s going through a real renaissance and you just cited some statistics on that, I think what the opportunities are for cities is to demonstrate that you can have an inclusive, compassionate, entrepreneurial and innovative economy. It’s not either or. So how do you build an economy where everybody feels like they’re connected to a bright and hopeful future? How do you build a city where people feel connected to each other it so enriches the social fabric of a city when people expand their universe of contacts and connections. And then how do you have an underlying social fabric in a city so everybody’s basic human needs are me. Those are the type of things that concern me and that we work on here. So that people feel socially mobile and they feel connected and that they feel like diversity and pluralism are tremendous assets. That soup then leads to creativity. It leads to new businesses. It leads to people feeling like they’re entrepreneurs, whether it’s for-profit entrepreneurs or social entrepreneurs. I’m doing so much more with my life than I ever thought possible. And if you can create cities where that’s the ethos of the entire city, there’s really nothing that you can’t do. ANDERSON: You know one of the things that’s interesting about what you just said—we are hearing from mayors more and more that social cohesion and how we live together in cities is an issue that is top of mind. In our recent American Cities Initiative Survey of Mayors, citizen engagement registered amongst your colleagues across the country as the issue that they are incredibly focused on in a way that I think feels stronger today than it perhaps did when you took office several years ago. Does that register with you? Is that the experience in Louisville? MAYOR FISCHER: It is. I think a lot of it depends on how much you want to lead a conversation like that. Good mayors are truth tellers. And truth tellers observe the world and the city the way it is. With all its beauty and all of its challenges and sometimes ugliness as well. And when you get into those challenges and ugliness, you can either look the other way or you can dive into it, and sometimes they’re short-term challenges, could be, let’s say a challenge around crime, or could be a long-term challenge, you know, the issues and impact the legacy of historical racism, institutional racism. It’s still with us today. So what do you do? Are you going to just kind of gloss over that or are you going to lean into it? You know are you going to become what any great elected official is, and I think that is a teacher, where you explain the history of a problem and then you say, here’s what we’re doing about that problem today and most importantly, here’s how we need you to be engaged in problem solving. Racism, sexism, xenophobia, homophobia, good mayors lean into those kind of issues, because people, I believe, are born good. And people want to be together. So how do you build bridges, how do you build understanding as a mayor? How do you explicitly create opportunities for different people to come together so they see each other first and foremost as human beings, as brothers and sisters that we are living in a city together to make a better place together. That’s why people move to cities. ANDERSON: Let’s talk about the mission to be a compassionate city. So you really are the first and only mayor that’s ever talked to me about the Dalai Lama. When did it hit you that that’s the mission? Was that something you brought into government? Was that something that developed over the course of your first term? Where has that come from and then let’s talk a little bit about how it’s practically affected what you do and what you deliver on the ground? MAYOR FISCHER: So I’m a business guy that just happens to be mayor. In all my businesses, I thought the most important thing is that people understand what the values of the enterprise are going to be, because that’s going to be the lens through which we make our decisions. So when I was elected mayor, I said, three big values will be leading our city: a city of life-long learning, a city of health-physical health, mental health and environmental health and then an even more compassionate city. And that caught people off guard. They understood the first two, but if you can imagine that you lived in a city that was always learning, it was always healthy and people are always lifting each other up for their human potential to flourish, what a great city that would be to live in. And I chose the word compassion to demonstrate that type of vision for a city and compassion is defined as respect for each and every citizen so their human potential is flourishing. We developed a relationship with the Dalai Lama when he visited our city in 2013 to dedicate a local Buddhist monastery and he was fascinated that a city was trying to live the value. So we’ve kept a relationship since then and he’s kind of a coach to city, if you will. Most recently, I was with him at his home in Dharmashala, India in February to kind of give a report on how things are going and to get his inspiration to keep moving forward. You know spirituality is important. It doesn’t matter if you even have a religion. One sixth of the world’s population doesn’t have a religion. But that you have some sense that we’re here on earth for a higher purpose, and I think it’s to help each other. And we start with that as our north star. We start with the human values that we all have and then we can talk about secondary differences. It could be religion, political party, but if we connect around these human values, we can build much better cities and a much better country. So compassion, you got to bring to life, though, Jim. You just can’t talk about it. So we bring it to life with our Compassionate Schools Project with our public school system that’s seeing phenomenal results. We bring it alive with our Give a Day Week of Service. We had 205,000 volunteers in acts of compassion this past Give a Day week in April, which was another world record for compassion, about a quarter of our city participated in that. So you got to make it real. ANDERSON: And just because you’re the data mayor, are you getting to the point now where you can measure whether or not your city is becoming more compassionate? I can tell you also one of our larger successes from an economic development recruiting standpoint in the last couple of years, we were competing with 40 other cities, a company moved here, 1,200 jobs, and I asked the CEO, I said why did you end up selecting Louisville? And he looked me right in the eye, and he said, because I loved your city’s focus on compassion. So compassion is good for business, too. ANDERSON: Let’s shift a little bit and talk about some of the other muscles that I think you’ve been very intentional about building up. Your innovation and experimentation capabilities, your data and evidence utilization. You were one of our inaugural, innovation team grantee partner cities. And one of the things you said to me was how it important it was for you to make sure everyone within the enterprise understood that innovation is a part of their work. And that you established a shared language that people could use across the government to talk about innovation. Share a little bit about how those efforts have gone. How do you intentionally structure the work in your city? And then how do you intentionally resource issues like continuous improvement and innovation? And my experience in that business world taught me that if you don’t give specific resources to the improvement and innovation efforts, people just kind of get caught up in the day to day work and there’s no place easier to get caught up in reacting day to day than city government, because you have stuff you have to do every day, obviously in terms of public safety, recycling, public health, it goes on and on. So how do you do that type of work really well and then put a proactive strategy on top of that, that really takes you to this place of being the best city government in the world? We created an office for performance improvement. We’re one of the first cities, if not the first city to create this concept of the chief of civic innovation. And then we fold that work into what we call our LouieStat process. So that’s Louisville statistics, it’s how measure our performance in a city, so we take a look at, process improvement as one aspect to moving the city forward, but then how do we change policy and then how do we bring innovation work on top of that so we can really accelerate improvement and service delivery to our citizens. That’s kind of the irony right. I mean to be really innovative, you have to have a lot of discipline. ANDERSON: And have you found facilitating that transformation in the public sector harder, not harder than it was to do in your, private sector experience? 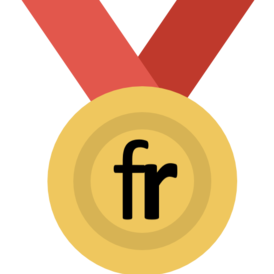 MAYOR FISCHER: Not harder. What I found when I came into city government and what people will say when they talk about government, “oh my gosh, it’s bureaucracy”. ANDERSON: Oh, that’s awesome. Let me turn now to data. Something you’ve invested a great deal of energy and attention around and, I think your performance stat crew has become one of the best in the country. I wonder if you think about the work left to do and the gains still to be made, can you help us think about how do you believe cities are going to be using data in five years, in ten years from now What’s the vision for where this goes? MAYOR FISCHER: That’s a great question. I think over the seven years I’ve been mayor, the importance of effective community engagement just increases every day. People have a high expectation to be involved. They have a high expectation to be an owner of a solution. So when you’re engaging the community that way, how can you summarize everything that you’re hearing and bring that back in an actionable way. How are people able to see all the facts of what’s going on how are they able to understand the summary of what the action will be as a result of both language and numerical data? So a lot of skill building needs to take place in this area. There’s not many businesses that do it well, so we’ve got real opportunity, I think, in the government sector to demonstrate how that can be done very effectively. ANDERSON: I love that you ended that by talking about skills building, because you just think about how it affects the day-to-day work of civil servants, if part of the work is to be out and engaging citizens in co-creation activities and soliciting their feedback more continuously, many times, they’re not trained for that work and are not connected with the latest tools and techniques to do that work effectively. So there’s a real skills gap, within the workforce that we also need to contend with in order to reach that potential around citizen engagement. MAYOR FISCHER: Yeah and raising the awareness of citizens in general and what public education is and about some of the opportunities here. And I think one other thing maybe to think about, Jim, is, you know, with an increasingly inter-connected world, how does crowdsourcing play into this? We’ve done some really amazing work around crowdsourcing using sensors. You know, human beings are sensors. So how does that play in to the future in terms of co-creation and co-ideation. Now I think when you pull all this together, a question we have to ask is, how quickly can people change? Right, so when you’re trying to change a culture of a city, that’s a really hard thing to do. Let’s say an education culture or health culture. Now you can change specific lower level processes or service delivery very quickly. So you have to be sensitive of how big is this that we’re trying to move? Because people can only move and adapt so quickly. ANDERSON: One of the things that I think you’re well known for, is attracting great talent. In many cities where there’s been a big crises like New Orleans or Detroit, a lot of people have returned to their home cities or gone to those cities to contribute to the rebuilding. And Louisville didn’t have a precipitating crisis, but you have none the less managed to attract and retain a great number of really capable leaders on your senior leadership team and throughout your organization. What are the tips you would offer your colleagues about how, within the public sector context, on public sector salaries, you’ve been so successful in engaging great people and keeping them on board. McKinsey and it worked with government and I said, we want to create the very best performance improvement city government in the world. Let’s get going. And she’s like, I’m all in. And it has been such a great ride for people, leadership and everyone in our organization because they feel like they’re doing really important work and they see the role that they have to do with it, and we’re a constantly learning organization, so you know, we’re benchmarking; we’re trying; we adapt; we improve. And then people are naturally competitive. So it’s like hey, New Orleans is really doing good work around Cure Violence. L.A.’s doing really good work around Clean and Green. Let’s go check out what they’re doing and bring it back here and make it even better. So we get a kick out of that, and it becomes a real virtuous circle on the team and then you’re recognized by the community for doing good work, so that’s always appreciated. We get a little national recognition from time to time, and I think that’s part of keeping the momentum going, but we’ve been really blessed by a great team here, and I really appreciate everybody that stepped up in a big way. ANDERSON: What an awesome note to end on. Thanks for sharing your thoughts and your wisdom and we really appreciate your partnership here at the foundation. So thank you very much, Mayor Fischer. MAYOR FISCHER: Well I want to say, Jim, if it were not for Mayor Bloomberg, yourself, our city would not be improving as quickly as we are. The platforms that you all have provided and the continuous learning that you all have demonstrated in terms of pushing the boundaries of what’s possible in a city has benefitted the city of Louisville and hundreds of cities around the world. So I just want to say thank you to you guys. OLVIER: We hope you enjoyed this episode of Follow the Data. Many thanks to the Mayor for joining us. If you haven’t already, be sure to subscribe to Follow the Data podcast. This episode was produced by Electra Colevas, Christian Nwachukwu Jr., Ivy Li, music by Mark Piro, special thanks to David Sucherman. As our founder Mike Bloomberg says, if you can’t measure it, you can’t manage it. So until next time, keep following the data. I’m Katherine Oliver, thanks for listening.